This is a 1905 Waterman “20″ eyedropper-fill in Chased Black Hard Rubber. Early, slip-cap model. 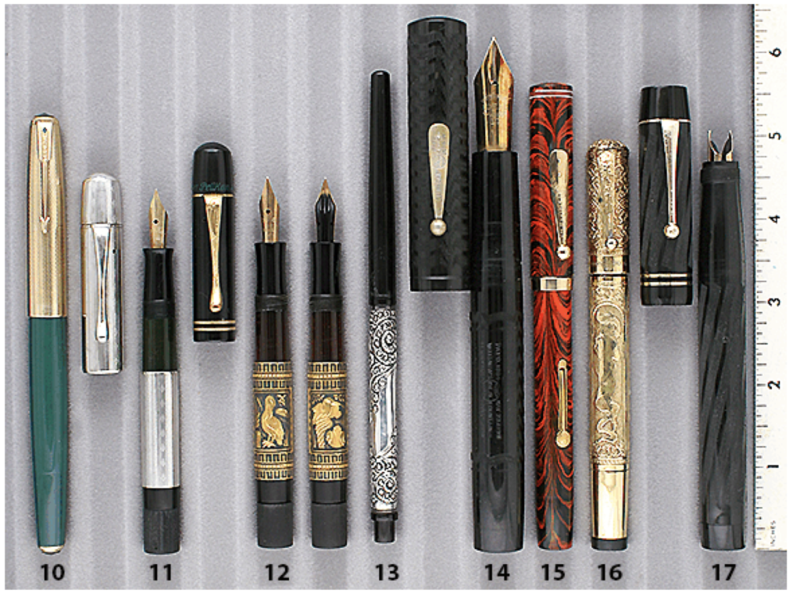 During the second and third decade of the 1900s, pen companies competed to offer oversized pens. This is a wonderful example of Waterman’s largest pen! also used in association with Waterman’s “World’s Smallest Pen” to attract attention in stores, store window displays, advertisements and Expositions. USA made pen with Canadian made nib (fine, semi-flexible). Has been filled (probably 100+ years ago), otherwise new-old-stock, mint with deep, crisp chasing and imprints. It would be very hard to find a nicer example. Item #14 in Catalog #85.